Jesamine was released on 31st May 1968 but did not enter the UK Top 50 until 20th August, reaching No 2 in November. Ironically, it was kept off the top spot by that year’s Opportunity Knocks winner, Mary Hopkin. Altogether ‘Jesamine’ spent eighteen weeks in the Top 50 and was the thirteenth best selling single of the year, outstripping ‘Jumpin’ Jack Flash’, Crazy World of Arthur Brown’s ‘Fire’ and Joe Cocker’s ‘With a Little Help from My Friends’. The single enjoyed very good airplay on Radio 1 which perhaps explains its slow-burning success. When it emerged also as a European hit, ‘Jesamine’ (often spelt ‘Jezamine’ on European releases) was released in the US, appearing as ‘Jesamine (A Butterfly Child)’ but wasn’t a hit. Marty Wilde covered his own composition under the name of Shannon, scoring only a number 104 in the US charts in 1969. In this live version, he sings in an almost semi-crooning style at times over harpsichord, flutes and strings but his version lacks the drive of The Casuals with contributions from the band. The B-side, lest I forget, was Greenaway-Cook’s fine I’ve Got Something Too, a sweeping, slow building ballad with a shimmering introduction. The band relocated fully to the UK to promote ‘Jesamine’ once it was clear the single was becoming a Top 20 hit. However, there appears to be no Top of the Pops footage remaining of ‘Jesamine’. The band would have also performed their single on other shows of the time such as Southern TV’s Time for Blackburn so it’s possible footage may yet emerge. 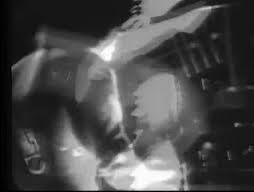 The only known TV performance footage is from German TV’s Beat Club in October 1968, in black and white and so laden with overlapping images and striking lighting that the faces of the band are barely visible. Records show that between August 1968 and the end of 1969, The Casuals recorded no less than 36 sessions for BBC radio so listeners would have had ample opportunity to sample the diversity of the group beyond their major hit. One of these sessions is captured on Shapes & Sounds 2: Shades of Deepest Purple from the BBC archives 1967-1971 [Top Sounds, 2008, TSSCD 003]. We get a chance to hear how The Casuals handled Jesamine as a live band, whilst two further tracks – Midnight Confessions (written by Lou Josie and covered by The Grass Roots) and Take Me For a Little While (written by Trade Martin and performed earlier by Evie Sands) – show them as beat group, live attraction and versatile professional outfit. John Tebb’s voice remains terrific on the uptempo material. A further version of ‘Take Me For a Little While’ was recorded as part of the Hour World sessions but didn’t make it onto the album. On ‘Jesamine’ it sounds as if the vocals might be shared, with Howard Newcomb taking over at ‘When Jesamine stays…’ although I could be wrong here. Certainly there is a differentiation which is not on the single. Back in 1968, Barry Gibb said ‘Jesamine’ was “about the best record of the year”. Paul Weller loved the song so much he named his child after it (judging from comments on Youtube and elsewhere he wasn’t the only one). It is track six on a 2003 covers’ compilation of some of his favourites, Under the Influence. The song seems to have lasting appeal judging by many fond comments and recollections online. I get the impression that people who don’t much like 60s music give it a try and find they are enchanted too. 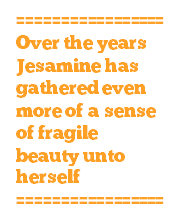 It seems as if, over the years, Jesamine has gathered even more of a sense of fragile beauty unto herself. The song inspires recollections of childhood’s sun dappled days in the 60s or simply of carefree youth – more innocent times in every sense. There is a minor scene in episode one of The Tyrant King (Thames Television’s ‘swinging London’ children’s adventure series) in which the children are in a bedroom and ‘Jesamine’ is heard playing in the background. With The Tyrant King airing in October 1968, this scene would have been filmed as the single gained airplay in the summer or early autumn. The children pay the music little attention but it hardly seems to matter. Indeed it’s the incidental way in which the song is experienced which is so poignant because this is how ‘Jesamine’ would have been heard by millions at the time, as background, yes, but also as a kind of permeating loveliness whose piquancy is only fully realised when momentarily recaptured by us as adults viewing this scene or hearing the song many years later. As pop has become harder, shinier, more industrial, more unrelenting, Jesamine represents a kind of vanished spirit of innocence, embodying its own, and our own, ephemerality. It surely ranks as one of the finest and most memorable No 2 hits of all time. The butterfly child lives on. According to one source, Marty Wilde saw a shop called ‘Jesamine’ on his travels and thinking it a lovely name, wrote the song. Jesamine was written by Marty Wilde and Ronnie Scott (The Bystanders’ manager) under the joint pseudonym Frere Manston and Jack Gellar. It tends to be Marty Wilde who is given sole credit; I don’t know if this reflects how songwriting duties were split between them or whether Marty Wilde crops up as sole composer as he is the better known name (by the way, it’s high time Marty Wilde’s 1969 Diversions LP was released – ‘Abergavenny’ might easily have been recorded by The Casuals, its toytown pop feel and big production bearing great similarities to their output around 1968/69). Jesamine has an interesting history. It was covered firstly by The Bystanders as When Jezamine Goes. Although released only six months prior to The Casuals’ version, its primitivism gives it the feel of a 1966/early 1967 single. In fact The Casuals’ ‘Jesamine’ eclipses The Bystanders’ original in every way starting with the title: Jesamine is itself such an unusual and lovely name, why add anything to that? The Bystanders single lacks atmosphere and finesse. Even featuring a leaden drum, the butterfly child doesn’t stand a chance of taking flight. Strings unimaginatively parallel the somewhat forced lead vocal. The arrangement briefly improves with some long overdue harmonies towards the end but the closing la-las create the sense of an incongruous singalong. Perhaps it was rushed out or maybe “the powers that be would never spend the money” as group member Clive John comments (in sleeve notes to The Bystanders: Pattern People – The Pye Anthology, Castle 2001, CMRCD 270). Significantly there is no credit for the arrangement. The Casuals were fortunate to have as their Musical Director Cy Payne whose imaginative and sympathetic arrangement perfectly elucidates the song at every turn, maintaining both its gentle momentum as a pop song and its ‘butterfly child’ utopianism through subtle layers of orchestration. 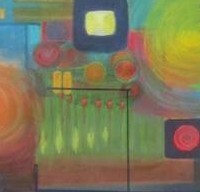 Woodwind, brass and strings add much colour and interest. The mood remains light even when brilliant brass predominates (as on the lead-off). Listen to how Cy Payne handles the mid-song breakdown which is little more than an awkward pause in The Bystanders’ version. There are delightful, unexpected but just right plucked strings, curling woodwind and that drowsy single acoustic guitar strum before the harmonies return. It also has to be said that John Tebb’s vocals are ideally suited to the song’s inherent melodicism and play a huge part in its success as a record. Beyond its musical accomplishment, part of the fascination of ‘Jesamine’ for me is that it seems somehow psychedelic and yet it obviously isn’t psychedelic at all in the genre defining sense. But that ambiguity is its marvel. The whole experience of love and of being in love in ‘Jesamine’ is transformative. That dreamlike, otherworldly fragility… could Jesamine have emerged from her chrysalis in any other year but 1968 when the beautific visions of the previous year had filtered through to the public and the pop mainstream? One feature which adds hugely to the effectiveness of the song is its unusual structure. The introduction poses a question ‘What am I supposed to do with a girl like Jesasmine?’, setting us up for the song. The main body of the song revolves around repetitions of a two part chorus – ‘When Jesamine goes…’ and ‘When Jesamine stays..’ offering a kind of light and shade or, in this case, shade (‘goes’) and light (‘stays’). A bridge breaks up the repeated choruses parts 1 and 2 (with ‘When Jesamine Goes’ heard once more than ‘When Jesamine stays’). The bridge resembles the introduction by again posing a question – ‘What can you say when a girl doesn’t want to know? – but to a new melody. Then we reach the most innovative part of all, the repetition of the forlorn ‘What am I supposed to do..?’ introduction but now heard as counterpoint to the ‘What can you say when a girl doesn’t want to know?’ of the bridge, adding to the elegance and sophistication of the song and dramatising how much the protagonist is both dazzled by love and beset by self doubt. This unusual feature leads into a brass dominated instrumental lead-off of the chorus with John Tebb’s vocal joining in to fade. A Introduction What am I supposed to do..? D Bridge What can you say..? E Bridge D What can you say..? with Introduction A What am I supposed to do..? It’s also worth pointing out how the choruses’ dual swings between ‘Jesamine goes’ and ‘Jesamine stays’ hang on the pivotal ‘but then the whole world dies’. This somewhat startling word ‘dies’ – heightened still by it being suspended in mid air at the end of a line – clearly shows the protaganist’s bewilderment when Jesamine leaves and his world seems to have faded away with her – he is left only with his feelings (and ‘Jesamine’ is all about feeling). But crucially ‘dies’ also strikes at the heart of the ‘butterfly child‘ – her ephemerality and the very fleetingness of his taking pleasure in her.